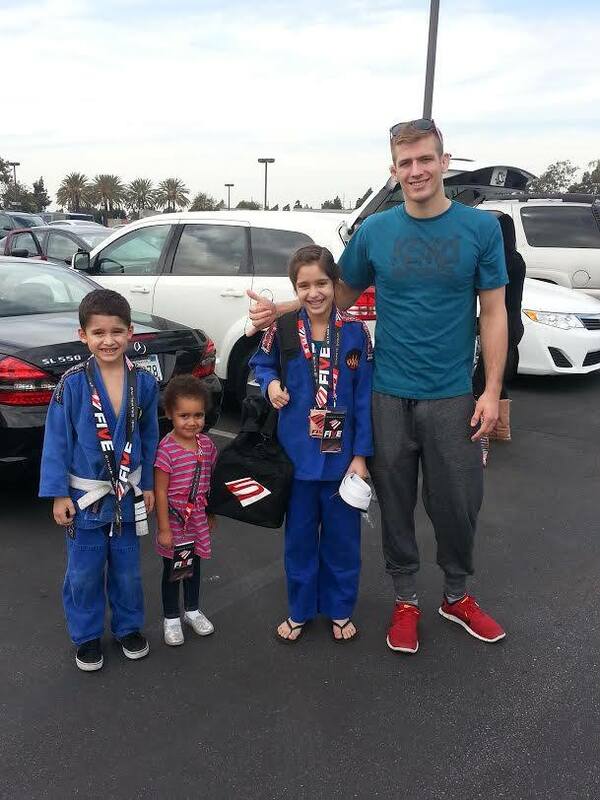 Brea Jiu-Jitsu took a competition team of kids and adults to the Five Grappling tournament this past weekend. The competitors walked away with 1 gold, 4 silvers and 1 bronze! Paul and Richard closed out their division and the winner was decided by an intense game of rock, paper, scissors. Many of the kids were able to take pictures with their favorite BJJ stars like Keenan Cornelius, Clark Gracie and Andre Galvao. Great job to everybody! We are currently working on an after school promo video. Check out some of the raw footage we have so far!